The important dialogue that Kant entertained with ancient materialism has only rarely been acknowledged. The relation between Kantâs thought and the theories of Epicurus and Lucretius touches on central problems such as the role of sensation in knowledge, the significance of pleasure and pain, the role of God in ethics, and the pre-Darwinian idea of evolution in the philosophy of nature. 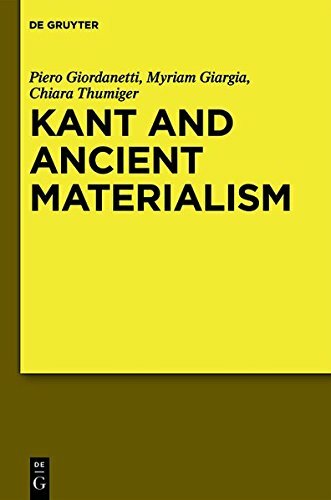 The purpose of the present volume is to fill a substantial gap in Kant scholarship by examining the philosopherâs debt to ancient materialism. About: The important dialogue that Kant entertained with ancient materialism has only rarely been acknowledged.